Too busy partying with the Easter Bunny – or celebrating 4/20 – that you forgot “Countdown to UFC 172” premiered on Fox Sports 1 yesterday? No worries, we’ve got the complete episode right here for your viewing pleasure. 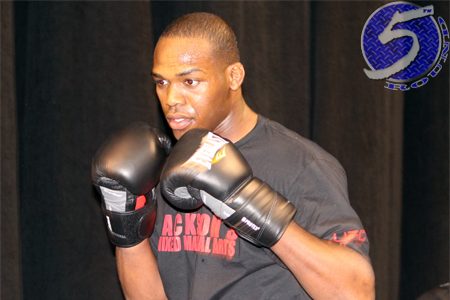 The show featured reigning UFC light heavyweight king Jon Jones (pictured) and Glover Teixeira as they prepare for Saturday’s shootout inside Baltimore Arena in Baltimore, Maryland. The co-main event between Anthony Johnson and Phil Davis, as well as the middleweight battle with Luke Rockhold and Tim Boetsch also appeared in the hour-long piece.